Caipirinha is Brazil’ s national cocktail, made with cachaca,sugar, and lime. Cachaça, also known as caninha, or any one of a multitude of traditional names, is Brazil’s most common distilled alcoholic beverage. According to historians, the caipirinha, as it is known nowadays, was invented by landowning farmers in the region of Piracicaba, interior of the state of Sao Paulo, during the 19th century, as a local drink for high standard events and parties, being a reflection of the strong sugarcane culture in the region. 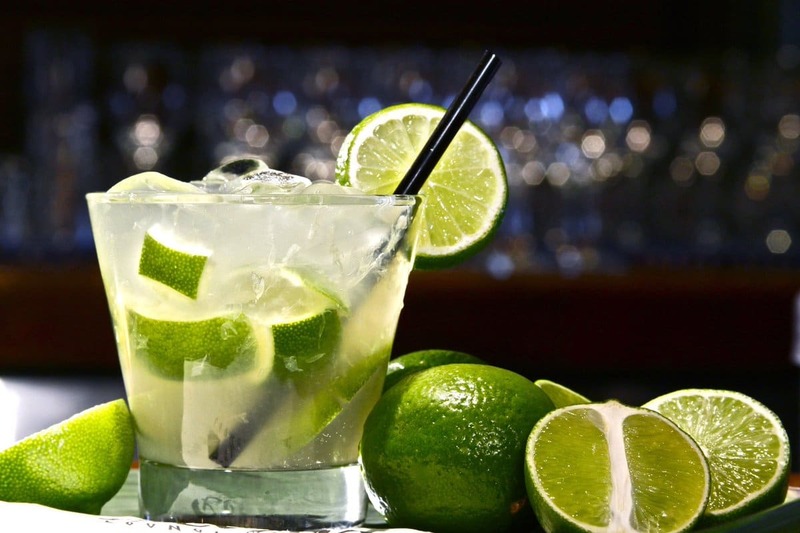 Enjoy this wonderfully refreshing Brazilian cocktail made from Cachaca and fresh limes made by our expert mixologists.